Perhaps you don't want to keep your old website design and would prefer to make a completely fresh start. If that's the case, then a new WordPress theme is in order. When selecting a new design, there are certain things that you will need to consider. Do you need one, two, or three columns? Is the theme that you're considering widget-ready? Is the stylesheet easy-to-read, so that you can make customizations if needed? It's best to take the time to find a high-quality theme that you will be happy using for years to come, rather than choosing a sub-standard theme only to discover a few months later that it doesn't meet your needs. There are a myriad of free and premium themes on the Internet, and it can be a bit of a chore to find the best ones if you don't know where to look. So, rather than aimlessly searching for a theme, you should begin your search at the following sites. 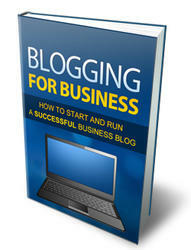 Download this Guide And Discover How Start And Run Your Very Own Successful Business Blog. Always Wanted To Start Your Own Blog?